Avaya has earned my trust. I am very optimistic about the future. Glasgow’s Queen Elizabeth University Hospital (QEUH), and the adjoining Royal Hospital for Children (RHC), constitute one of the largest acute care hospitals in the United Kingdom. The Queen Elizabeth University Hospital has 14 floors which stand on a site as big as five football pitches offering 7,500 rooms, 30 operating theatres, 34 lifts and the largest emergency department in Scotland. All 1,109 adult general beds are in private ensuite rooms with outside views, as are the general beds in the Royal Hospital for Children. The new hospital facility opens a window onto a whole new approach to patient care. Planners examined new ways to improve the overall patient experience using state-of-the-art systems, while also leveraging existing investments across the NHS Greater Glasgow and Clyde (NHSGGC) network. A key focus for Karen McSweeney, Telecommunications General Manager, NHS Greater Glasgow and Clyde, was how best to equip staff with business communication tools in a large-scale environment with some 6,000 phone extensions. Avaya has held our hand. They have acted as a part of the project team, with a strong focus on the customer. NHSGGC is home to several major specialist services such as renal medicine, transplantation and vascular surgery, staffed with specialists in these areas. Focusing on arming these specialist physicians, or consultants, and other health care professionals with more effective communication tools is a priority. “In our new model, consultants ‘carry their extension in their pocket,” McSweeney says. 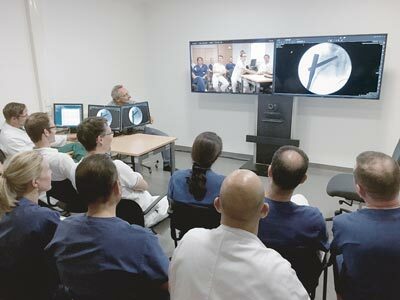 The hospital relies on Avaya one-number portability for this. Consultants not only travel on campus, but also across the Board sites, across Scotland and the UK. 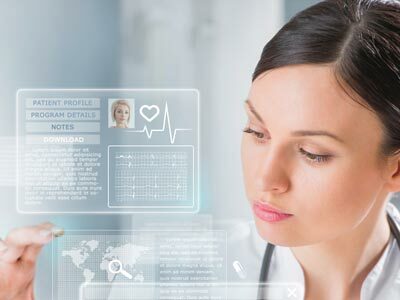 The NHSGGC vision is to use presence and instant messaging so that secretaries, operators handling public calls, and others can see at a glance the availability of physicians. NHSGGC has 67 other sites. Approximately 85% of its 30,000 extensions are served by a mix of legacy systems. Working with BT as its principal partner, McSweeney’s strategy is to ultimately have three core Avaya Aura® sites, with survivable gateways at the edge. 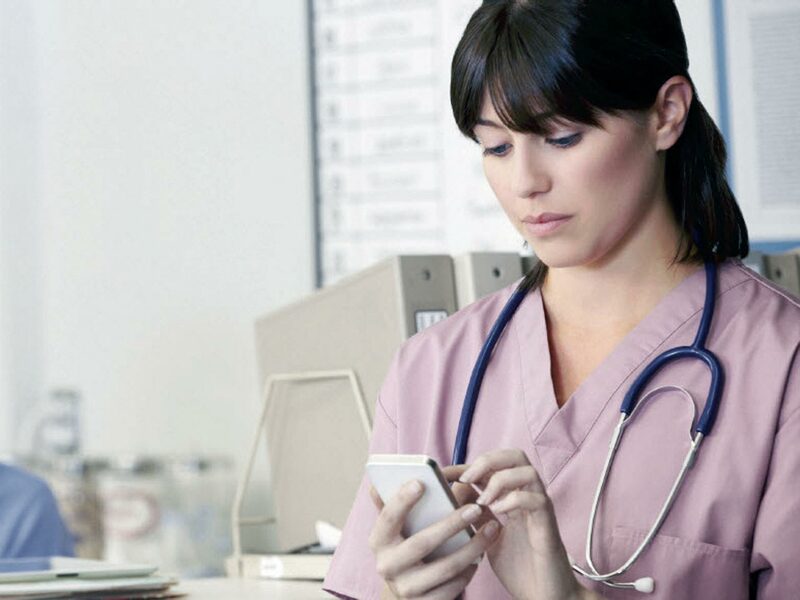 Nurses are equipped with agile mobile technology enabling them to stay in contact with patients, colleagues and patient information systems throughout their working day. NHS Greater Glasgow and Clyde, located in West Central Scotland, is the largest health board in the United Kingdom, serving 1.2 million people and employing 38,000 staff. It consists of the unitary council areas of the City of Glasgow, East Dunbartonshire, East Renfrewshire, Inverclyde, Renfrewshire and West Dunbartonshire and together with the towns of Chryston, Moodiesburn, Muirhead and Stepps in North Lanarkshire. It also provides some services to the East Kilbride area in South Lanarkshire. The Board provides strategic leadership and performance management for the entire local NHS system in the Greater Glasgow and Clyde area, with the aim that services are delivered effectively and efficiently.